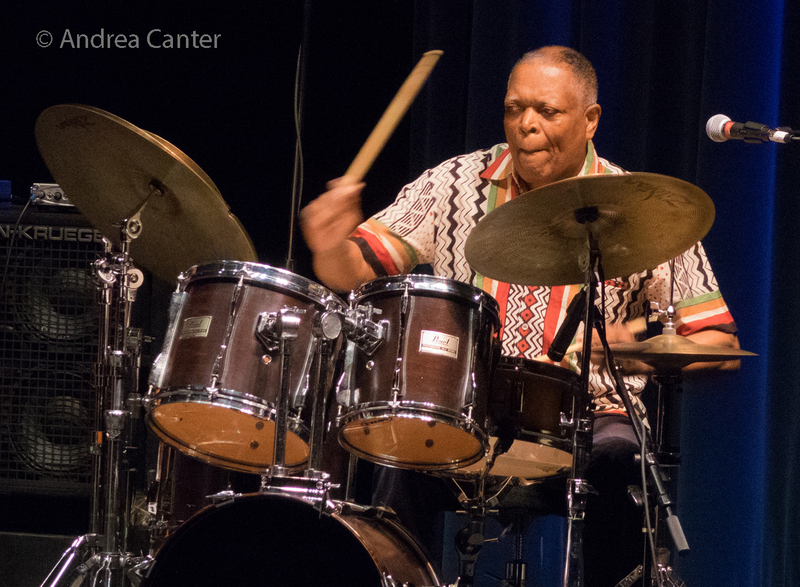 That drummer Billy Hart, now in his mid-70s, has been a powerful force on the American jazz scene for the past 50 years is undeniable. Yet his is hardly a household name, although recent accolades attached to his current Billy Hart Quartet are bringing him long-overdue recognition, at least within the jazz community. On a more local level, Billy Hart has long been associated with, and appreciated by, the jazz fans who gather for the annual Healdsburg Jazz Festival in northern California’s Sonoma County. The most active national artist in the festival’s eighteen year-history, Hart has appeared at 11 festivals with 12 different bands. He isn’t even a native or past or present resident of the area. 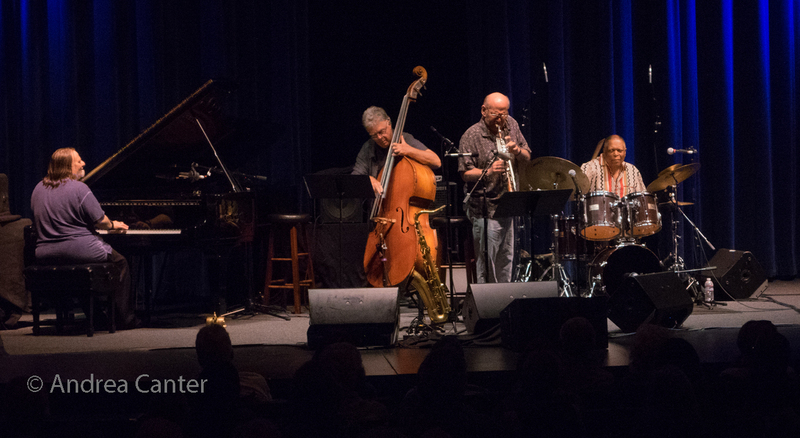 “Billy is the big reason the Healdsburg Jazz Festival has been able to work miracles for 17 years,” noted Artistic Director Jessica Felix in the festival program. 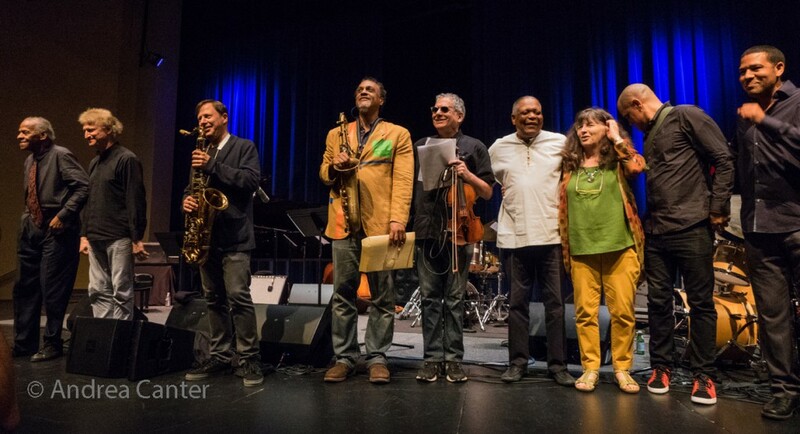 In year 18, then, the tables were turned and for two nights on the first festival weekend (June 4-5), Billy Hart was not only the center of attention, but the engine that propelled four incendiary bands, three “reunions” and Hart’s current working quartet. On one hand, it was a Billy Hart retrospective. On the other hand, it was simply a Billy Hart Love Fest. And that love brought current and former colleagues from far corners of the country and beyond to join Hart on stage, and fueled two nights of music that soared far above Santa Rosa’s Jackson Theater, far above the Sonoma Valley vineyards. It was two nights of jazz heaven. One of Billy Hart’s most significant associations was with the ensemble Quest, founded in 1981 with David Liebman on saxes and flute, Richie Beirach on piano, Ron McClure on bass, and originally Al Foster on drums. Hart replaced Foster shortly thereafter. Quest was one of the first bands to bring free jazz and fusion into the acoustic jazz framework. Popular through 1991, the band took a 15-year hiatus, coming back together in 2005 still performing on occasion. Beirach logged the most miles to this reunion, flying in from Germany. A who’s who ensemble of jazz greats from the 60s and 70s, Enchance released an eponymous recording in 1977, with leader Billy Hart, Dave Holland (bass), Don Pullen (piano), Dewey Redman (tenor sax), Eddie Henderson (trumpet) and Oliver Lake (flute, alto and soprano sax), along with additional percussion from Michael Carvin, more trumpet from Hannibal Peterson, and additional basslines from Buster Williams. 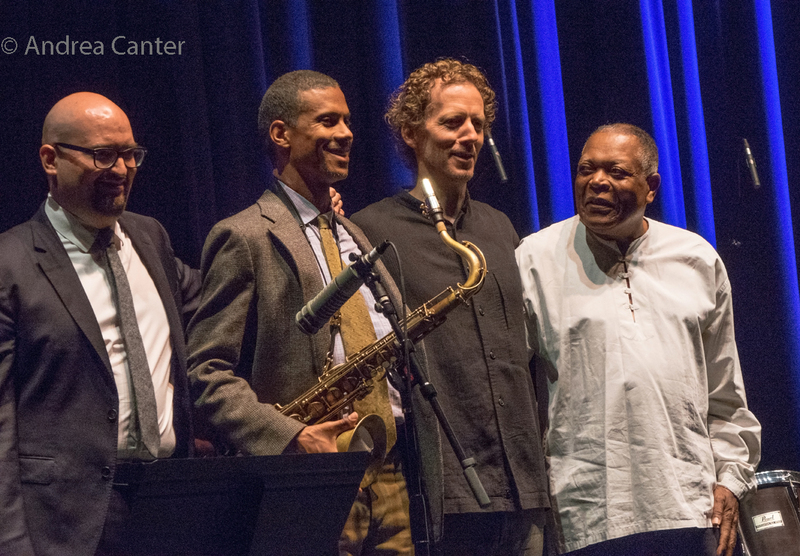 With Pullen and Redman gone, Hart pulled together an amazing two-generation alternative, with Holland, Henderson and Lake, along with Craig Taborn on the piano bench and Dewey’s son, Joshua Redman, on tenor. It seems nothing was lost in the translation, bringing the recording back to life as if picking up the energy from Quest and taking it even further, ending in a stratospheric reading of Don Pullen’s “Pharoah.” Each artist provided stellar solos across the 90-minute set as well as contributing to the collective punch, but perhaps most notable were exchanges among Taborn and Redman, the two relative youngsters on stage, both prone to physical contortions that seem truly an essential, unconscious part of their sound. 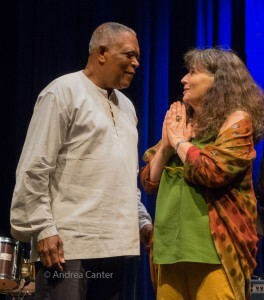 No one was happier or more inspired than Billy Hart. The second night opened with Hart’s current quartet, now boasting two acclaimed albums on ECM–Mark Turner on tenor sax, Ethan Iverson on piano, and Ben Street on bass. Unlike the other bands of the weekend, here Hart was the sole elder statesman, one who seemed as energized by the free-wheeling concepts of his musical “sons” as he was otherwise stimulated by the reunions with veteran collaborators. And relatively speaking, the modern Billy Hart Quartet took a more deliberate, cerebral approach to their set, Hart the most propulsive, Iverson the most introspective, Street typically providing a steady push, Turner injecting melody and an abstract swing. Off their 2014 ECM album (One Is the Other), the quartet’s arrangement of “Some Enchanted Evening” provided the most enchantment. 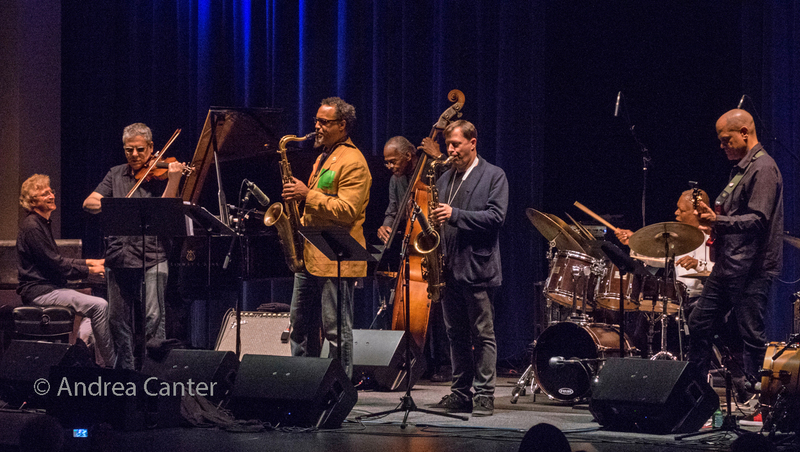 This was a superb set by one of the finest working ensembles on today’s jazz scene. The only thing missing was that extra jump for joy that permeated the reunion bands–for the quartet, this was a gig–albeit a special one–on their current schedule. For the other ensembles, this was a rare opportunity to make music together, again (or, with Taborn and Redman, for the first time). For 12 years, Hart led an ensemble that recorded Amethyst in 1993, and gathered the group again for Oceans of Time, released in 1996. The earlier edition featured John Stubblefield on tenor sax, Mark Feldman on violin, David Fiuczynski on guitar, David Kikoski on piano, and Santi Dibriano on bass. For the second recording, Hart added another tenor, a young Chris Potter. 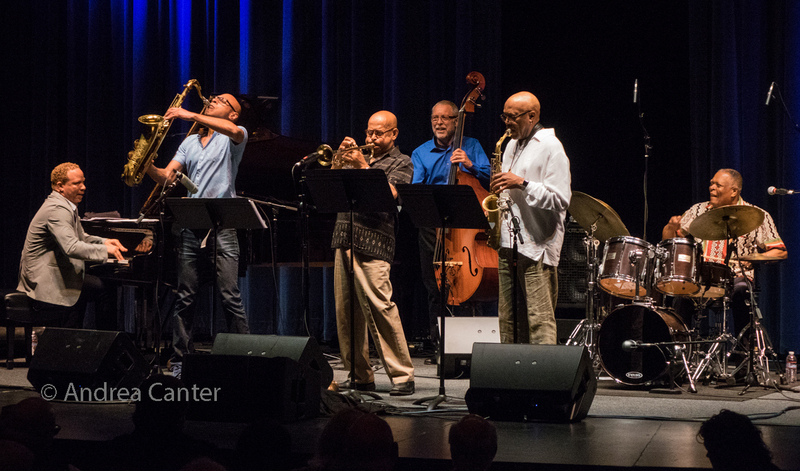 For the reunion of Oceans of Time, the late Stubblefield was replaced with festival favorite Craig Handy, and the great Cecil McBee took on bass duties, with Feldman, Fiuczynski, Potter, and Kikoski joining Hart, and special guest, Billy’s son Lorca, appearing for the finale on a second drumset. Each artist engaged in fiery solos as well as contributing to the fuller sound of the larger ensemble, and the father-son drum battle gave the finale the magical power of a volcanic eruption. Artistic Director Jessica Felix introduced each set and had a few final words. This was her festival within the festival, a tribute she was determined to organize, a booking that she repeatedly said was her favorite of all the festival bookings of the past 18 years. It was not the biggest crowd of the festival’s 18 years, but it may well have been the most glorious music of Healdsburg’s history. From start to finish, this retrospective was filled with joy. And all Hart.